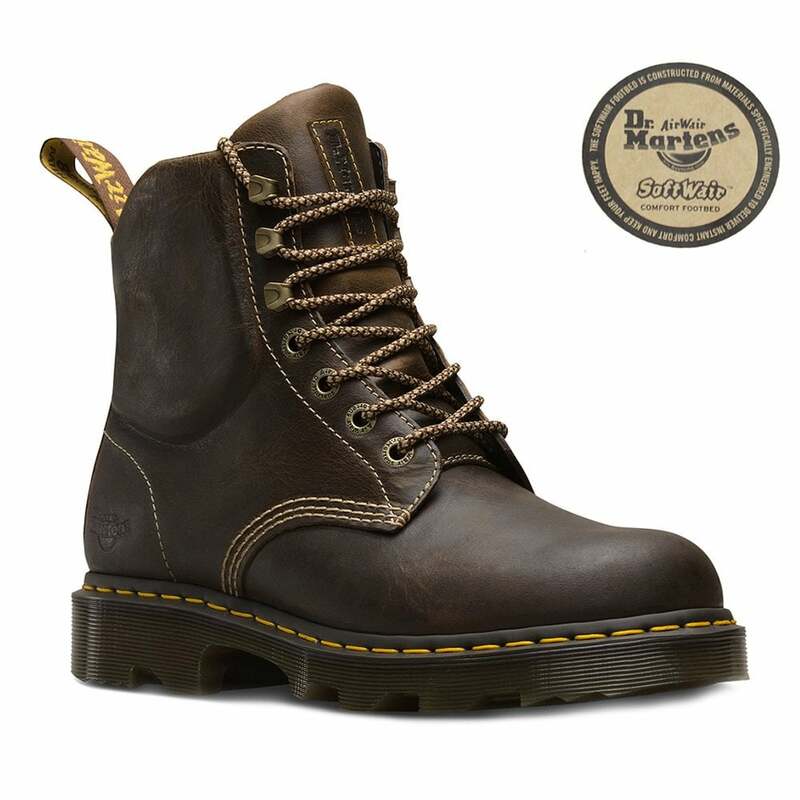 Dr Martens Crofton has a familiar 7-eye boot silhouette, with rich Greenland leather uppers, padded ankles and anatomically correct SoftWair™ cushioning which unites Dr Martens DNA with industrial-inspired detail to make an ideal everyday mens boot. The 7-tie lace-up has round brown and beige laces travelling through 3 pairs of ski hooks and 4 pairs of metal ring eyelets for a secure fastening. Focusing on your comfort the mens Crofton boot has memory-foam ankle protection and Dr Martens SoftWair™ II sock-liner with anatomically correct support, memory foam cushioning and antibacterial properties. Made with natural Greenland leather uppers this great everyday boot has a waxy surface and distressed worn finish to look like a well loved friend. A durable, craggy, heavy tread PVC outsole with cushioning EVA core completes the Dr Martens Crofton's rugged appearance perfectly - get your pair today!